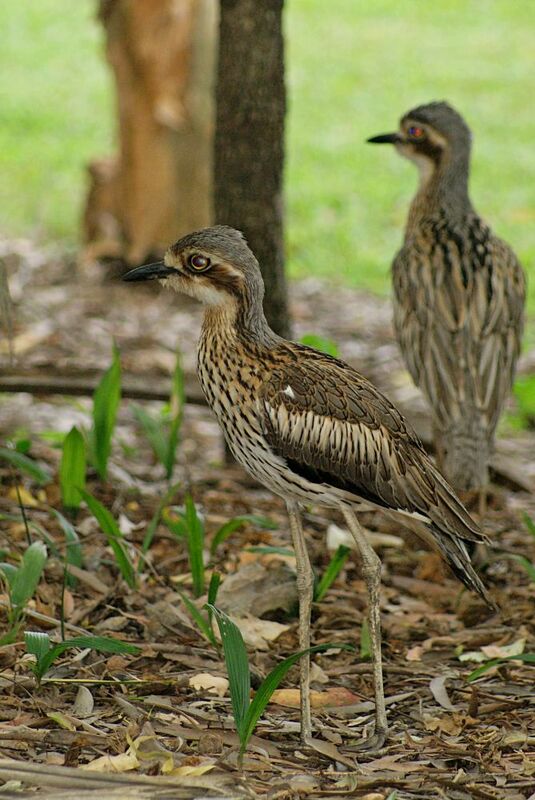 One of two Stone-curlews in Australia (the other being the rarer Beach Stone-curlew), they are common in the north and rarer in the south, where there are larger numbers of introduced predators, especially foxes. They are mostly nocturnal and spend much of the day standing very still to escape detection by raptors and other sight-based predators, aided by their excellent camouflage. At night, they fly to feeding grounds where they eat a range of small creatures including frogs, molluscs, small mammals, crustaceans and snakes and they are very active hunters. They are large waders, measuring 54-59 cm from beak to tail with very long legs.